The story unfolded like a fairy tale. But with a twist. This time it was not about a princess, but a young boy. Oblivious of his looks, the boy earned his living by selling tea, fruit and vegetables at a Sunday bazaar. He had no phone and did not know how to read or write. And yet, he dreamt of helping his poor parents. One day a fairy clicked his picture and posted it on Instagram. The picture captured the imagination of the world. The hot chaiwala morphed into a cool model. He appeared on television, graced magazine covers, bagged modeling contracts and walked the ramp. Dizzying, isn’t it? Welcome to a world where one picture holds the potential to change the story. This is what happened to eighteen year old Arshad Ali Khan, an ethnic Pashtun in neighboring Pakistan. Neither reason nor logic applied to the mass hysteria that followed. His picture was shared more than 30, 000 times. Lucky chap, for none of his seventeen siblings had such fortune. Yes, 17. Deal with it. Arshad, however, was unfazed. “I came to know this morning that I am very good looking,” he said. I don’t know if his charm resided in his innocence or blue eyes, but what I know is that he was a buttered toast for social media. And then there were angry birds who love rivalry. Hand on heart I’ve never heard such comparisons. 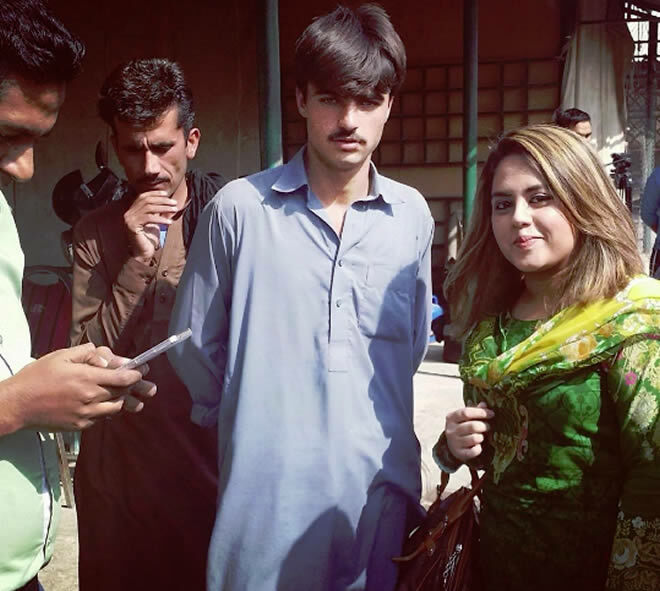 “My Chaiwala is more handsome than your Shah Rukh Khan,” chirped a pretty little thing. Really? Okay kiddo. We will talk when your Khan wins the ‘Koffee with Karan’ hamper for a fourth straight time. Another abiding feature of social media is the ‘like mentality’ - an unsaid social media compulsion. You like what your friends do. Dosti ki khatir. Obliged by social media, smitten girls flocked ARK’s tea stall to click pictures. With full make-up and blow dried hair, they pouted and posed. It was a matter of ‘like and death’. Oh, common, be fair. Who clicks selfies with a chaiwala unless he was a PM or a social media sensation? Thereafter, all the chatter segued into some talk about reverse objectification. For once it was the girls who were lusting after a good looking boy. Thank heavens for the fact that women refrain from specifics, even if it’s locker room talk. Girls went as far as becoming a chai addict and dreaming of being served some ‘kadak’ chai. That’s it. Just when I thought that the storm in the tea cup had subsided, I saw a tweet from a cute little sparrow in heat. ‘Arshad, will you marry me?’ Dear girls from Islamabad to Moradabad, sorry to burst your steaming hot bubble. 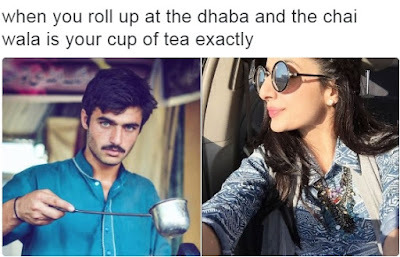 The Chaiwala may be your cupcake but how long can you look at him? What if you want to discuss demonetization and carbon emission? Regardless, the objectification charge was silly. Meaningless actually. After all, the camera was simply a catalyst in a win-win situation. But wait. Let’s get serious. 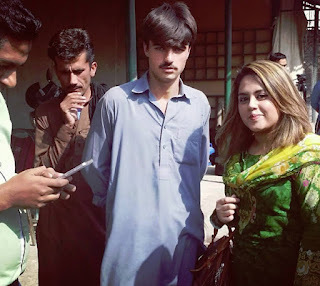 Arshad Ali Khan is not the only viral sensation. The stupefied picture of a Syrian child, Omran sitting alone in an ambulance comes to mind. Likewise, the haunting picture of Aylan Kurdi, a drowned toddler. Far away from Instagram and way before Twitter, the 1984 portrait of Sharbat Gula, the Afghan Girl’s piercing eyes had shaken our soul. Perhaps it was those intense eyes - a tapestry of tragedy and pools of grief. Come to think of it, her image was etched in our memory without the clutches of social media - no re-tweets, no likes and no shares. For positive tales like Arshad, social media can be a fairy Godmother. But the only thing shorter than public memory is public attention. Overnight fame can provide a fillip to a muse or a cause, but it does little to change stories. What exactly are we doing for other Omrans being rescued from the rubble? Is our heart bleeding for the Afghan Girl who was arrested in Pakistan for forging national identity card? Yes, we love the Chaiwala’s rags to riches story. In fact we love fairy tales - not because they tell us about monsters but because they tell us that monsters can be overcome. That there is hope. Compassion. But social media is fickle and news ephemeral. And yet, if viral images help a cause or a muse, it is a welcome part of digital times. We are ready with our likes, shares and re-tweets. Hope your fairy tale comes true. Glad you like this. but how long can you look at him? What if you want to discuss demonetization and carbon emission? ...... some truth in this. Had been for some photo shoots for these pageants and have seen them all. I'm sure you have. Thank you for stopping by. Yes, few moments of glory. Yes Alka social media is best put to use when it boosts a good cause.But these flippant reactions of immature minds to each and every news that goes viral,it leaves me wondering about their IQ. I always wonder what makes a picture viral? Because we have so many. And yet, very few do. Such a stinging indictment of the malady called 'Social Media'! It is said humans use only a minuscule percentage of the powerful brain that Nature has gifted them. Perhaps 'Social Media' is the way to realise the full potentials of our prized organ except that the journey of evolution has taken a turn toward the bottoms leading to abysmal depths. After the Chaiwala there was a Nepali tarkariwali in the news. But she didn't get as many hits. What is it that makes a picture viral? Strange are the ways of SM. and that hostess was so annoying asking .. millions of questions to fresh of the boat..
blue eyes n clear complexion doesn't mean .. super model.. !! Exactly. Very likely that they will forget and dump him. Social media is a reflection of the changing times we live in. The fact that we get enamored by a photo here and a tweet there and indulge ourselves in momentary responses, talks to a deeper problem of the need for instant gratification and short memory. Not good trends, both of them! Leads to unrealistic jingoistic support or opposition for causes or people. Stupid really. All that adulation over looks. But then it is a passing fancy on social media. We move on from snippet to snippet, cause to another cause. And both, the muse and the cause are forgotten. It's fickle. Once you are part of social media you get to be part of the herd that eulogizes, shames, applauds and then quickly moves on to the next subject. I'd like to know Arshad Ali's story six months from now. True, last heard he was back at his tea stall. Honestly the social media hypes are as ephemeral as they get, here now, gone now. But like you said this magical media can become someone's fairy godmother overnight. The sad part is, it can also turn into someone's worst nightmare with the same rapidity. No news however sensational can overcome the transience of human minds, except perhaps some tiny examples you've cited. True that. Very well said. It's fickle, true. Last heard he was back at the tea stall. Well-written, Alka! You hit the nail right on the head...The youth is so entwined in getting likes, shares, retweets, that at some level, they are forgetting to live in the real world. Virtual realities are the ONLY things that matter - that scares me, a little. I see people moving away from actual meetings but claim to be in touch because they know what their loved ones are up to thanks to social media...Is this really the way to go? Thank you Divya. Good to see you here. Always. Truly he rustled up a storm in a teacup. Social media will be the deal makers of the future. They would have the power to make or break individuals. Scary isn't it ? I would recommend you to watch the Series 5 of the Black Mirror series. Brings home the reality of social media.